Are you up for a very unique challenge? The Boda Borg at Lough Key is the answer! The innovative, weather-independent Boda Borg is a Swedish concept unique to Ireland and is challenging for everyone. Once you enter the two-storey Boda Borg complex, only teamwork, ingenuity, and trial and error and skills you probably didn’t know you have will allow you to progress through its 47 rooms! It contains fun-filled activities, imaginative puzzles, and enjoyable tasks but does not include instructions as figuring out what the task is is part of the challenge! Every adventure starts in your own mind. New paths are explored together with curiosity, laughter, and excitement. Will you and your team be one of the few to crack the Boda Borg? Take the challenge and find out for yourself! 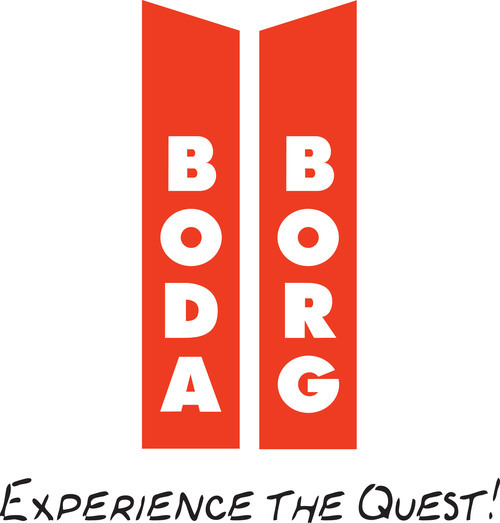 You need a minimum of 3 people and a maximum of 5 people per team in order to participate in Boda Borg. It is suitable for participants from 7 years up. Booking is recommended so contact us prior to dropping by. You may use the contact details below for booking inquiries.